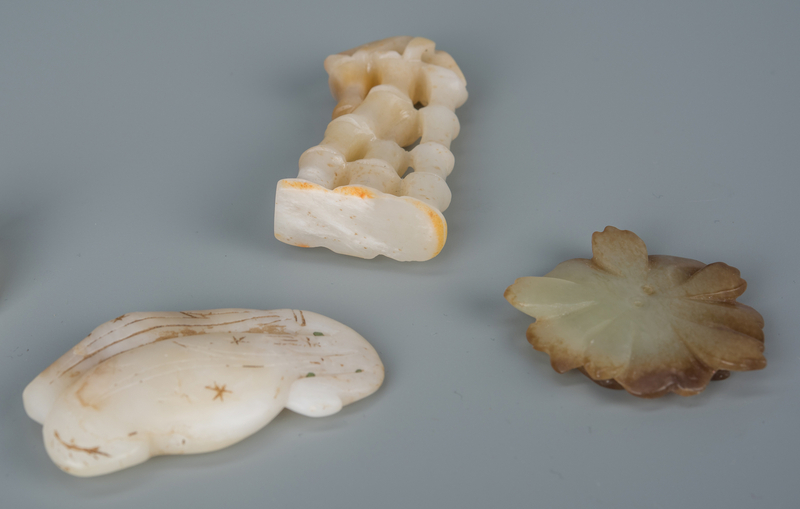 Group of 8 Chinese celadon and white jade carved toggles, including 3 flower toggles, 3 eggplant toggles, carved cicada and bamboo tree. Size ranges 1 3/4" – 2 1/2" L. All 20th century. CONDITION: All very good condition.